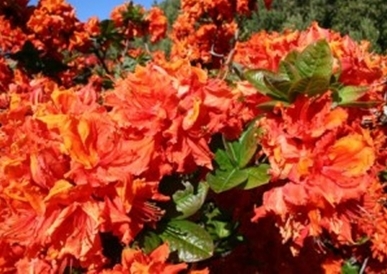 Dr Yeates (1900-1986) was the foundation head of the Department of Agriculture and Botany at Massey College, where he taught students studying for degrees and diplomas in agriculture and horticulture. 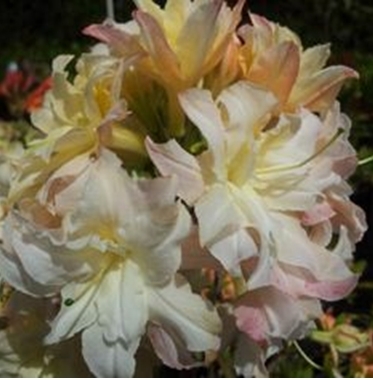 He was a skilled plant breeder with particular interest in lilies and rhododendrons. 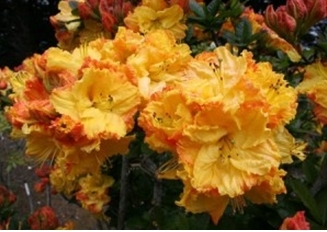 Dr Yeates was friends with fellow NZRA azalea enthusiast Edgar Stead from Ilam, Christchurch in the South Island. 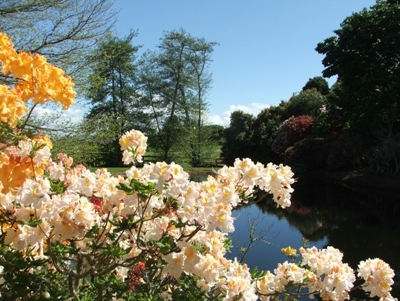 Seed from Lionel de Rothschild, Exbury azaleas in England, was the source of hybridising at Ilam. 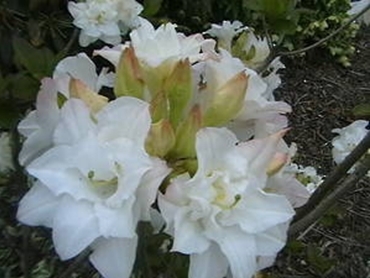 Ilam seed was used to create the Manawatu hybrid azaleas, which are known as `Melford’ azaleas, the name originating from Dr Yeates’ Long Melford Road property, Palmerston North, where most of the hybridising was carried out. 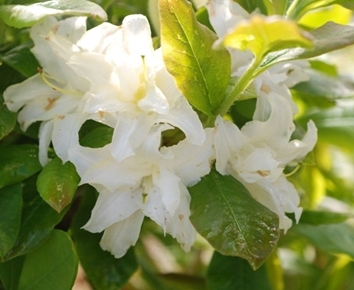 Heritage Park has a large collection of Dr Yeates’ select seedlings with a collection of named azaleas around the gazebo. 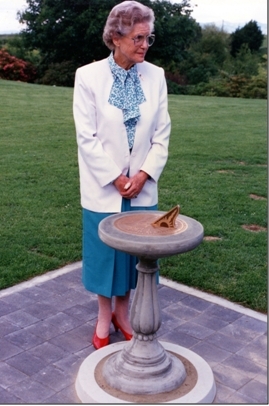 Also located in this area is a sun dial, imported from Australia, and erected by the Kimbolton Rhododendron Society in memory of Dr Yeates. 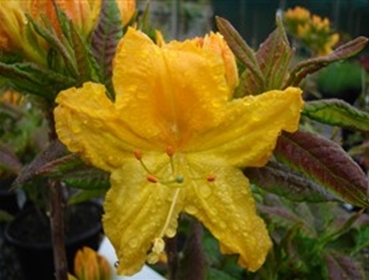 Dr Yeates died in 1986 and at the 1988 New Zealand Rhododendron Conference the chalet was named the Dr John Yeates Chalet with a plaque unveiled to commemorate the occasion. 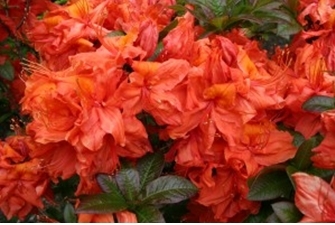 The plaque reads “In appreciation of his service to the New Zealand Rhododendron Association and the Kimbolton Rhododendron Society”. 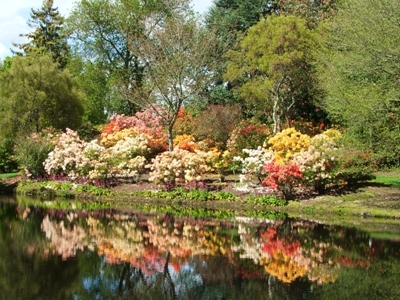 Other New Zealand azalea hybridists represented at Heritage Park are the Wilson family of Cross Hills Garden and Nursery, Denis Hughes from the Blue Mountain Nursery, Tapanui, and Barry Sligh of Taunton Gardens, Banks Peninsula.